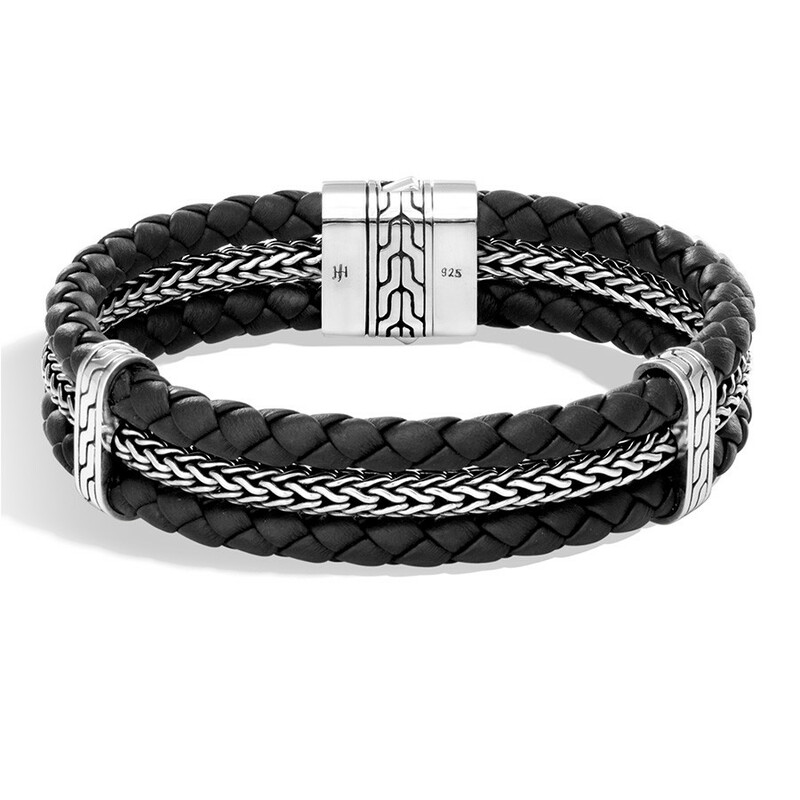 Get a layered look with this John Hardy men’s bracelet from the designer’s Classic Chain collection! Two rows of woven black leather bookend a sterling silver chain in this handsome piece of jewelry, with precious metal stations that are adorned with the brand’s iconic classic chain motif. 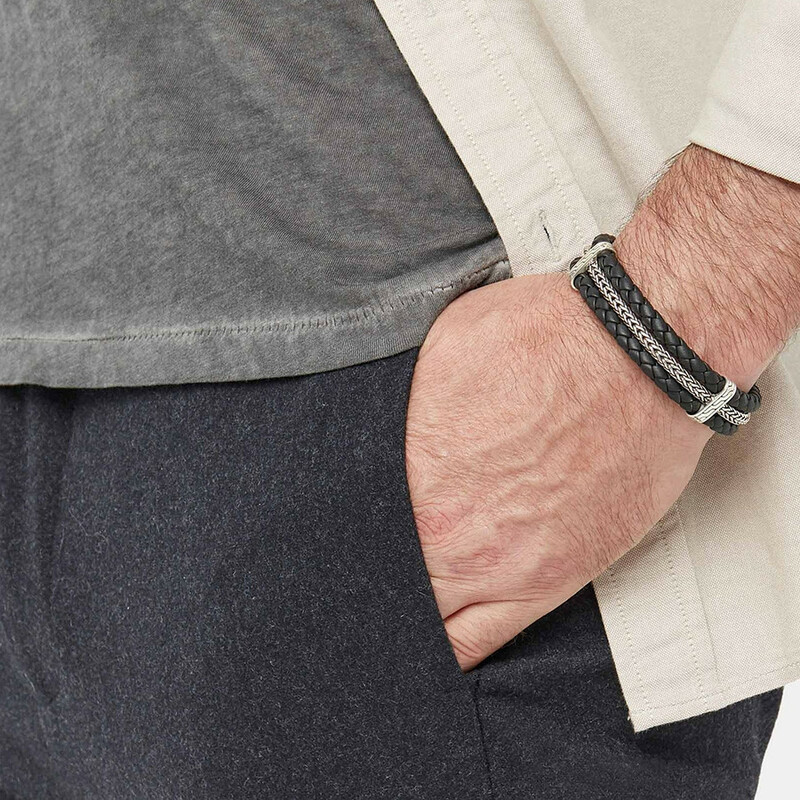 A pusher clasp makes it easy to put the bracelet on and take it off. This three-row John Hardy bracelet is a study in contrasts.